Shedding more light on the path to soften our environmental footprint, Pacific Northwest National Laboratory (PNNL) recently shared a key way for us to use less resources. A new report from the Department of Energy and UK–based N14 Energy Limited found that LEDs are leading the way into the future. “The light-emitting diode lamp is a rapidly evolving technology that, while already energy-efficient, will become even more so in just a few short years,” said Marc Ledbetter, who manages PNNL’s solid-state lighting testing, analysis, and deployment efforts. This is the first public report to examine the environmental impact of LED manufacturing in depth. Various impacts were considered when evaluating environmental footprints, including the potential to increase global warming; use land formerly available to wildlife; generate waste; and pollute water, soil, and air. The report examined the complete life cycles of three kinds of light bulbs: light-emitting diodes (also called LEDs), compact fluorescents (or CFLs), and traditional incandescent light bulbs. As consumers, if we choose to use energy-efficient lighting, it is another way to keep shrinking our environmental footprints. At the moment, LEDs & CFLs are quite comparable on that front. “Regardless of whether consumers use LEDs or CFLs, this analysis shows we could reduce the environmental impact of lighting by three to 10 times if we choose more efficient bulbs instead of incandescents,” Ledbetter said. 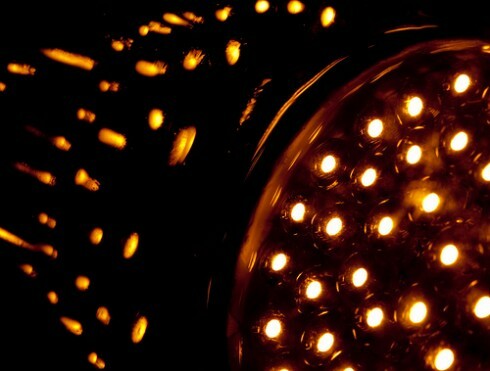 LED Light bulb closeup — people who use these lamps shrink their environmental footprints. This report, completed for the Solid-State Lighting Program of DOE’s Office of Energy Efficiency & Renewable Energy, is the first public report to examine the environmental impact of LED manufacturing in depth. Along with all the concerns regarding lights and resources, this study shows that the difference between those two bulbs’ overall environmental performance is largely determined by the energy and resources needed to make them. But both are worlds better than incandescents. 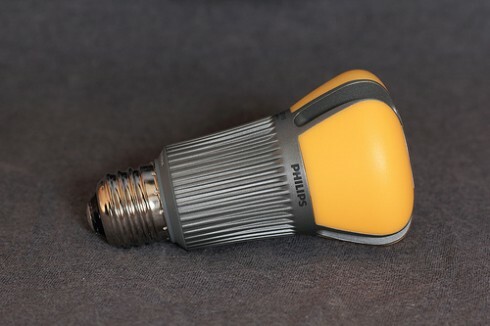 “By using more energy to create light, incandescent bulbs also use more of the natural resources needed to generate the electricity that powers them,” Ledbetter said. This and other DOE reports on solid-state lighting are available online. Source: Heather E. Dillon and Michael J. Scholand, “Life-Cycle Assessment of Energy and Environmental Impacts of LED Lighting Products, Part 2: LED Manufacturing and Performance,” June 2012.